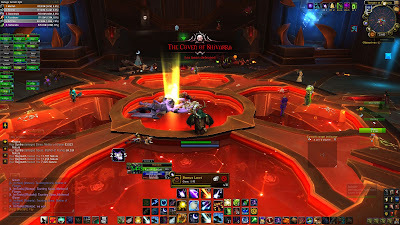 Last Tuesday, Innovation downed the Coven of Shivarra after 43 wipes.. the fight where Mass Entanglement really shines, every druid here makes the fight a lot easier just by that single L60 talent. This was our third or fourth evening on them, and this was a typical fight for this blog, through wiping, you learn. 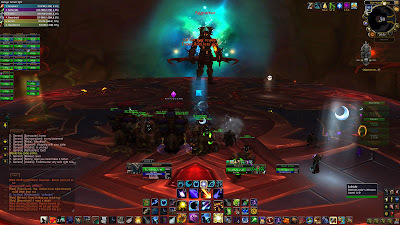 Except for the more damage which is expected between Normal and Heroic, there is only one ability extra that was a problem, Storm of Darkness. This ability basically kills you if you stay in it for more than 4 seconds, and it covers the whole arena...except for some randomly placed white circles, randomly being the culprit here. You still have the be spread out for lightning-dudes which means hugging sides of that white circle, and then there are the fire-dudes, slicing the arena in pizza-slices.. and if you happen to be in a slice where that randomly spawning white circle doesn't spawn..well.. But those two abilities where not the biggest problem we faced, it didn't took long for us to figure out how to handle Lightning dudes, and somehow we didn't loose to many on fire dudes... the maze layed down by the old men walking though, combined with white circles... that took a while. For this fight I heavily tweaked my talents and gear. Adds where going down fast enough, so I actually went for a maximum-boss damage build. 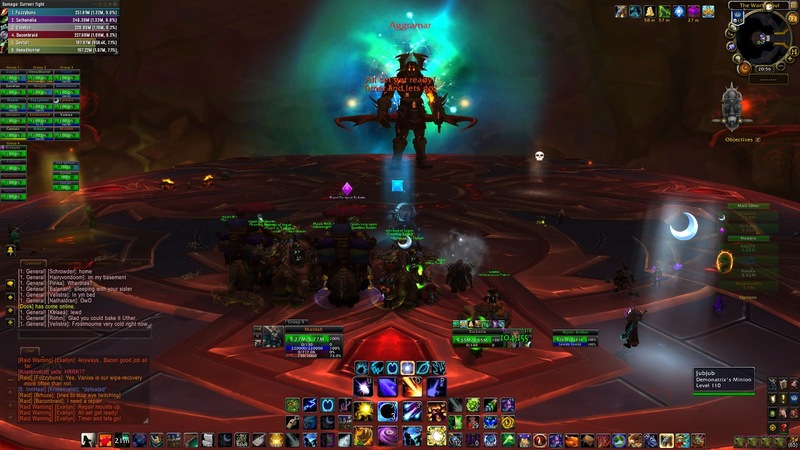 My guides told me to use the Double-Moonfire shoulders, but we had a tactic where the bosses most of the time didn't switched place, something with one not doing actual damage to the tank, so a DPS with taunt tanked that one. So the shoulders where not that handy. Yes, even moar Dots, but the extra Dot on both bosses, combined with cheaper Starfall... well, max boss damage. The effect was that besides the four moon spells, and the three free Lunar Strikes from Warrior of Elune, I was Dotting and Starfalling, hardcasting Solar Wrath or Lunar Strike..almost no time for it, but this strange setup did pay of it seems. 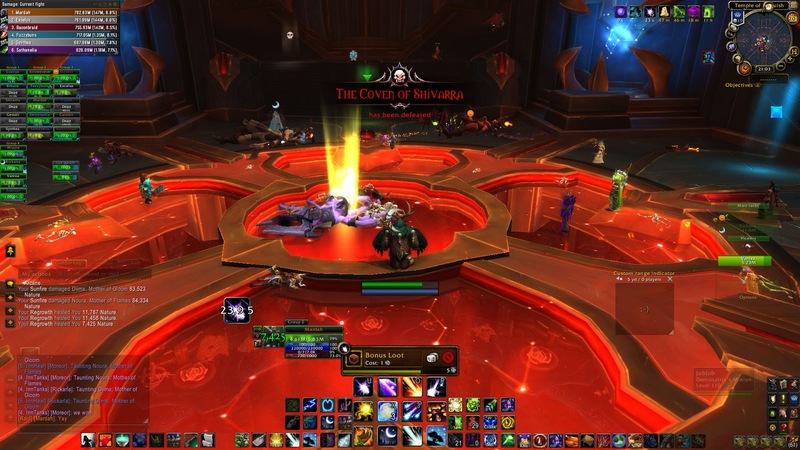 So, now we are on our next target, Aggramar, where CC is again a thing we need to control, and 16 wipes in, we already are in the phase where we just need to get into the groove, so I think we will not need that many wipes on Aggramar.